The high costs of litigation and the long delays to have a matter heard in court have raised serious concerns with respect to access to justice in Canada. This challenge can be felt particularly acutely with somebody who has recently been wrongfully dismissed from their employment. While the common law may tell us that a terminated employee may be entitled to receive several more months compensation for their termination than what their employer is offering, often the high cost of litigation require the worker to accept less than they deserve. But what if someone can have their day in court without the time and expense of trial and discoveries? In many wrongful dismissal cases, a summary judgment application may provide just that. What is a summary judgment application? Summary judgment applications are used in cases where there are few material differences in fact between the plaintiff and the defendant. In these instances, the plaintiff can ask the court to make a decision on questions such as liability and damages without having to proceed through to a full trial of the issues. Unlike a regular trial, witnesses do not normally testify in a summary trial. Rather, evidence is presented by way of a sworn affidavit. This saves considerable court time, as legal counsel will spend the majority of their time presenting arguments, rather than examining and cross-examining witnesses. How can a summary trial be used in a wrongful dismissal? 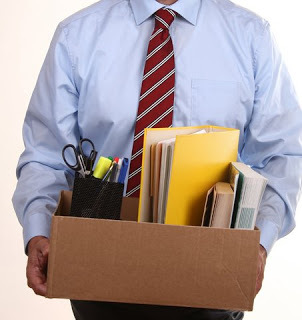 Many wrongful dismissal cases are particularly well-suited for summary judgment applications, particularly if the employer is not alleging just cause for the termination. Take a company restructuring where an employer has to terminate a worker. There’s no question of liability (the company recognises that they have terminated the employee without cause) and the primary question in dispute is how much severance the worker is entitled to. In a case such as this, the essential questions of fact (such as the employee’s age, tenure, position, education and experience) will not be in dispute. Rather than attending to a full trial, the employee can ask the court to decide summarily on damages and on whether he or she has made reasonable efforts to find alternate employment. What are the advantages of a summary judgment application? Costs. Many lawyers work on an hourly basis. If legal counsel is required to prepare and attend to an examination in discovery, review lists of documents and conduct a 5 day trial, legal fees can easily be several tens of thousands of dollars. Time. To run through the full litigation system and have your day in court normally takes over a year for a relatively simple trial. For a family that has recently lost a major revenue source, that can be a devastating wait. By comparison, a summary judgment application can happen any time after the close of pleadings. Take, for example, the recent case of Luchuk v. Starbucks Coffee Canada Inc., 2016 BCSC 830. Mr. Luchuk was terminated on November 20, 2015 and had his summary trial heard and decided on March 4, 2016, about 3.5 months later. In Hryniak v. Mauldin, our Supreme Court of Canada recently emphasized the need for timely and affordable access to justice, and to this end, the summary judgment rule promotes this ambitious objective well. While summary trials are well suited to many wrongful dismissal cases, they are not always appropriate. If you have recently lost your job, make sure to consult an employment lawyer and ask whether a summary judgment application is an option.